Upon the retirement of Barbara Tebeau the company continued to move forward with Annette DeCresce, Diane LaBruzzo and Rebecca Troelstra. 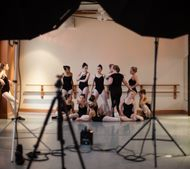 In 2000 the company became incorporated as a not for profit organization and named the Adirondack Ballet Theater, the name change was appropriate as company members are all local dancers from the Adirondack Region. A Board of Directors was formed and set forth the company’s mission statement: The Adirondack Ballet Theater, established in 1992 was created to provide performance opportunities for area children in a broad range of dance styles including traditional ballet, jazz, tap, lyrical and modern. 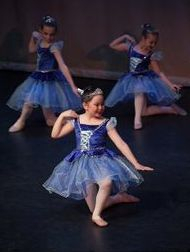 The organization provides children the unique opportunity to perform aside and learn from professional dancers in community setting. The organization is founded on the belief that a child’s exposure to dance at young age nurtures the spirit builds confidence and provides opportunities for growth and lifelong learning. Throughout the years, with the help of alumni, parent volunteers and community support; variations were added, costumes designed, and props constructed to bring the company where it is today and continues to grow and get stronger every season. 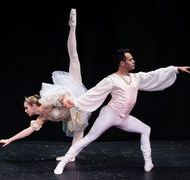 ABT has performed at the Lake George High School, Glens Falls High School, The Hyde and celebrating its tenth year anniversary partnering with the Charles R. Wood Theater constructed in June 2004. The company is of such caliber that professional dancers from NYC Ballet, Ballet Hispanico, Martha Graham, and college students from Boston Conservatory, Skidmore College, SUNY Purchase and Marymount Manhattan College want to be a part of it. 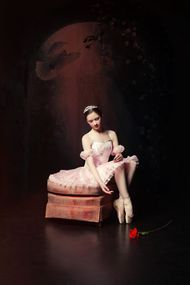 Every holiday season the company performs their full length version of the Nutcracker Ballet. In December 2012 the company had 3 sold out performances of the Holiday classic. In addition to the Nutcracker the company’s repertory includes: Legends, Past and Present, Tribute to 9/11 in Honor of Our Nation, A New Beginning, A Concert in Celebration of Spring, Firebird, Cinderella, Coppelia and Alice in Wonderland. The company performs in local community events including: the Stanton Nursing Facility, Festival of Trees, Downtown Glens Falls Balloon Festival Street Party, Barnes and Noble and Downtown Halloween Festival, Boo 2 You. Throughout the years ABT has received substantial funding from New York State Council on the Arts Decentralization Program administered locally by the Lower Adirondack Regional Arts Council to offset part of production costs of some performances. Recently, Adirondack Ballet Theater became a resident dance company of the Charles R. Wood Theater. As each new season approaches the company sets forth new goals and aspirations, with support from LARAC and our local community, this holiday season ABT will design a holiday window display at Scoville Jewelers in downtown Glens Falls, host the Strolling Strings and guest artists to perform aside company dancers, design new scenery and construction for Act I, Scene I the Stahlbaum Ballroom, enhanced lighting for Land of the Snow and embellishments to the Land of the Sweets set construction. Aside from performing opportunities, developing friendships, confidence, dedication and poise, foremost each ABT company member has the opportunity to experience the joy and passion dance can bring to their life and share the joy with local performing arts patrons, which indeed is two-fold. Please visit our Photo Gallery to view photos of past performances.